Gifted Culture is a collective of musicians and record label for improvised music based in Berlin, and ran by Two Thou & Autre. The collective visits different studios with different musicians, records the session and presses it to vinyl. 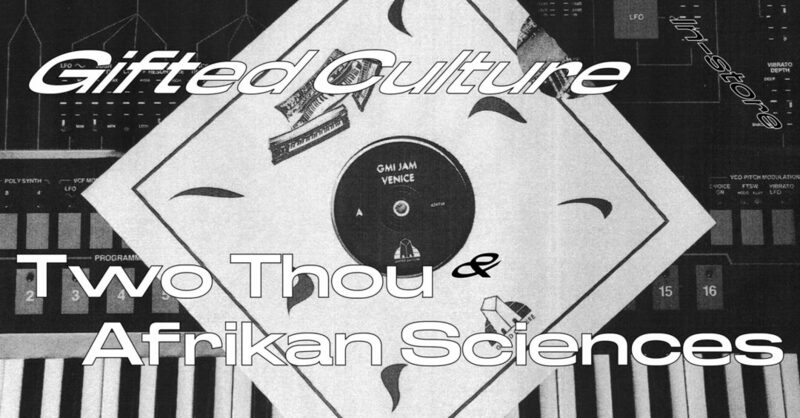 Afrikan Sciences will join Two Thou for a two-hour journey. Copies of Gifted Culture releases will be available.